As much as I love touring by bicycle, it’s the touring, not the bicycling that usually holds the great moments. 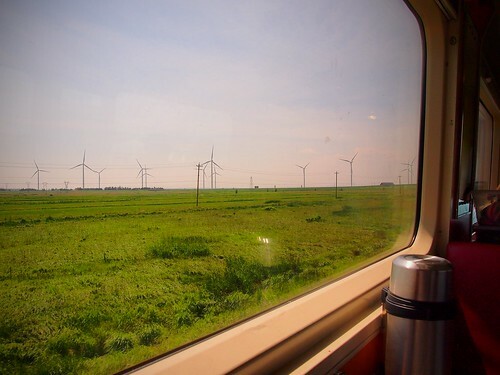 The 20 hour train ride on the VIA Rail, a part of the trip I was not looking forward to, but ended up being one of the highlights. Pack a diverse group of strangers into a few train cars, add a few beers, and a good time is bound to happen. But really, it was much more than that, it was the life stories told, stories from the past and stories of dreams yet to come. You can spend your entire life trying to find the path you want to travel and a few words from a total stranger can point you in the direction you need to go and give you the confidence to get there. It’s a safe bet that a few of us who rode the train will remember the time spent together for the rest of our lives. 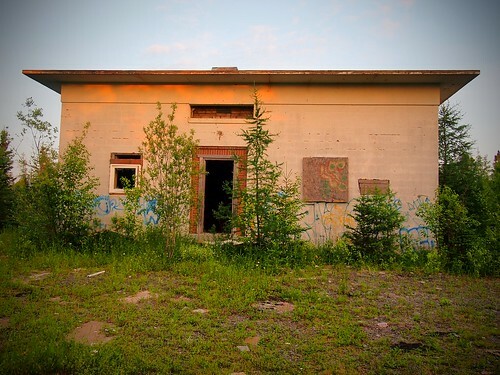 As great as the train ride was, it was also nice to stand on stationary ground and that ground started at the Truro Nova Scotia train station. where I found a place to camp for the night. I awoke the next day to a sunny sky, a strong tail wind, and a heat wave. The temperature hit over 90 degrees F. with high humidity. Regardless, when a tail wind is blowing and there is ground to cover, it’s best to make the most of it. I traveled over 100 miles that day on everything from singletrack trails to the Trans Canada Highway. I did hit one bout of rain, but it happened just as I was passing an old one room schoolhouse that has been turned into a museum. It was a perfect place to stop and learn a little history (as well as stay dry and fill my water bottles). If there is one thing I’ve learned in my years of bicycle touring, it’s the more non bicycling locals tell you to avoid a road, the better the road is. I ended the day on just outside the town of Mulgrave on the Old Mulgrave Road, a no traffic dirt / logging road that was as great as all the locals said it wasn’t. 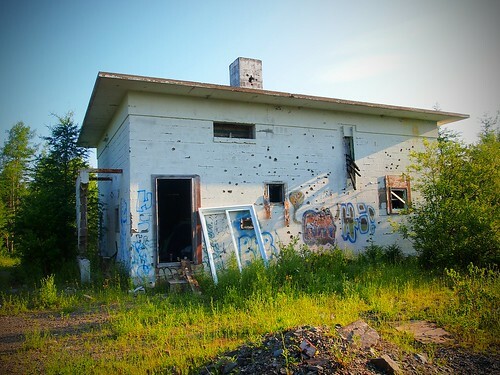 I found an abandoned concrete building and with the swarms of black flies, horse flies, deer flies, and other biting insects it seemed like a great place to camp. 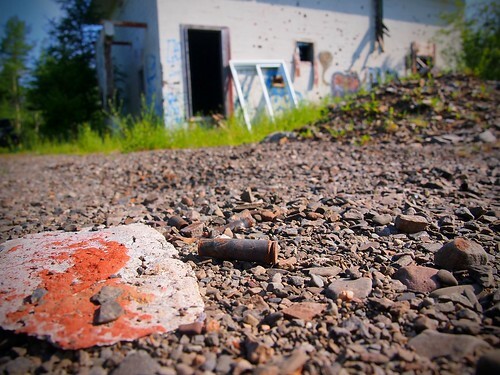 It was also riddled with bullet holes and broken glass, but that just added to the charm. I named this place Hotel Baghdad and I’ll let the photos tell the story. 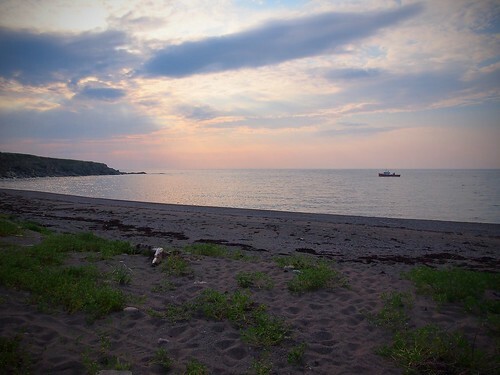 The next day I was feeling pretty shelled from the heat and miles, so I took it easy and made my way over to Cape Breton Island. I was going to hit Cape Breton on my way back from Newfoundland, but I figured it would be better to see on the way in case my plans change and I come back a different way. After crossing the causeway to the island I picked up a rail to trail that is part of the Trans Canada Trail. I had a slight headwind, but the views were beautiful and this was just what I needed to recover. I also found some great spots to swim in the ocean and wash the grime from my body. I rode the trail for the rest of the day, along the ocean and through the woods. 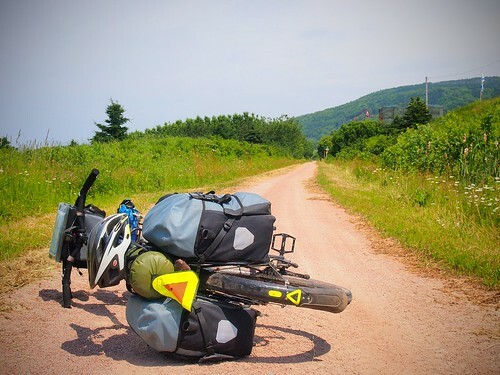 and finally joined pavement where I met the Cabot Trail. For such a famous cycling destination, the shoulder of the Cabot Trail / road is practically non existent, but the traffic was light and everyone was courteous. 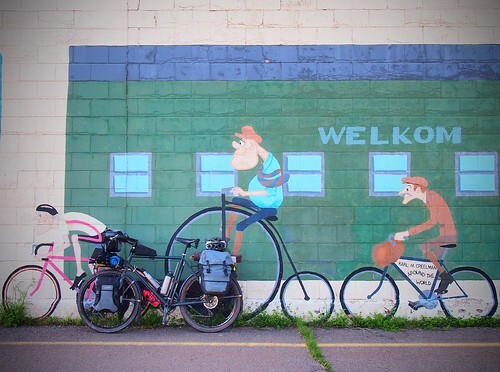 My plan was to reach the town of Cheticamp and take a rest day and along the way I met a local cycling couple who offered me their ocean front land to camp on for the night. 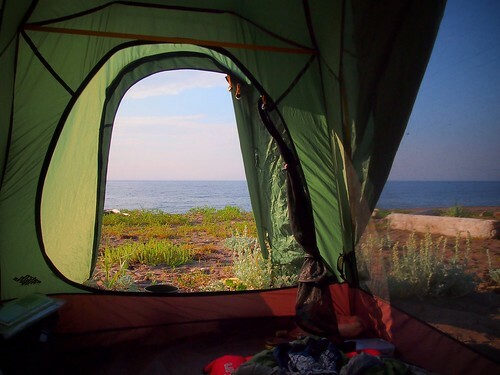 The view from the tent along with the ocean breeze made this a perfect spot. All rest days should start with a good time the night before, so I found some live music in town, had a few to many beers, and shot some pool with the local fisherman. Mind you, I really don’t know how to play pool, but is seems like rule number one is look like you do and anyway, alcohol is the great equalizer so I gave it my best shot . I ended the evening by swerving my way back to my campsite on the ocean and passing out in my tent to the sound of fishing boats hauling in their catch. Yeah, it’s been a great trip so far. This is awesome! Cool trip and cool pics. So cool to read about your trip! We covered similar ground just a couple weeks ago. I don’t know if you’ll read this in time, but I HIGHLY recommend you make your way up to Bay St. Lawrence and/or Meat Cove. Our night in Bay St. Lawrence was a highlight. 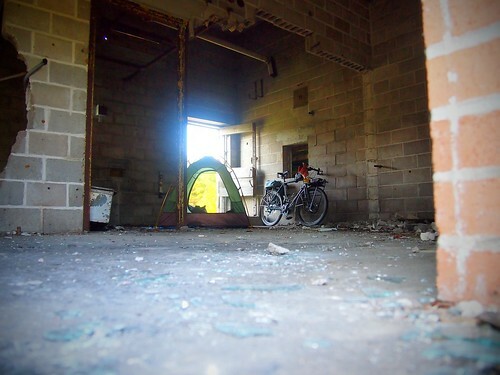 I know you are averse to paying for camping, but the Jumping Mouse campground is about as close to perfect as a campground can get, plus there is a discount for people who cycle there.